That is a great, and very common, question that we get at FAIWest. The answer is complex and simple at the same time. 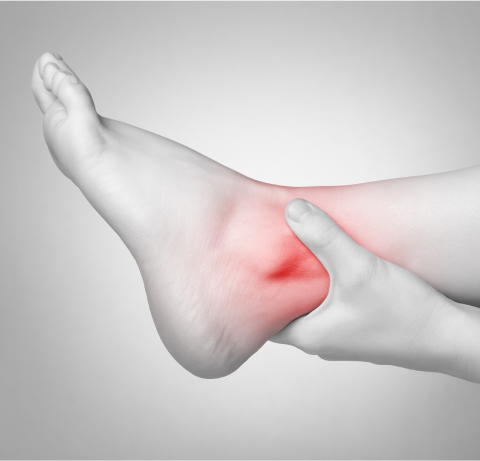 There are two basic reasons to correct bunions. 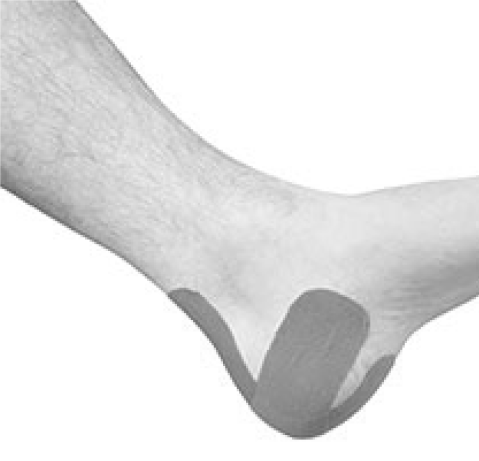 The first is the pain, and the other is to avoid secondary changes in the foot. Patients often say, “how can I have arthritis, I don’t have pain.” The answer is simple. Arthritis damage does not always hurt. The goal of bunion correction is to stop this process and save a person’s joint from total destruction. That said, a person with a damaged joint will more likely feel better with it after correction because the joint will be in its normal alignment. 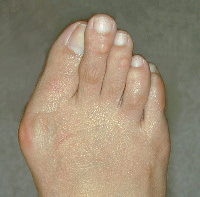 The other secondary change that occurs due to uncorrected bunions is known as Second Metatarsal Stress Syndrome or Cross-Over Toe Syndrome. 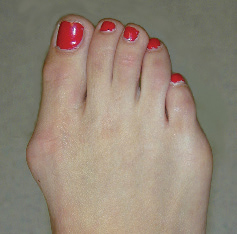 With this problem, the second toe will stick up and move over toward the big toe and at times cross over it. 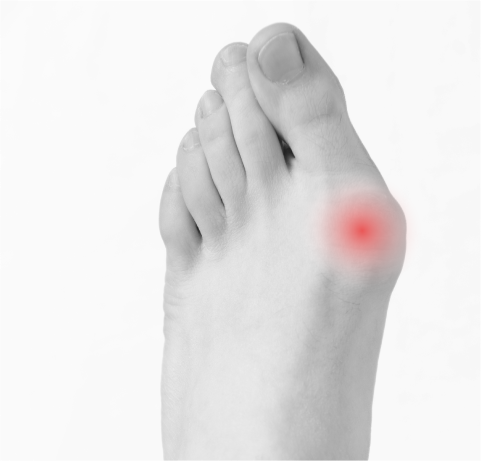 In addition to the crossing of the toe, pain in the ball of the foot will develop. This will feel like you are walking on a rock or lump in the ball of the foot. This problem is progressive and does get worse over time. This problem is also something that is typically corrected with surgery. If you have this problem currently, the correction will most likely be needed. If you don’t have this problem, treatment of your bunion is the best way to prevent this from being a problem. 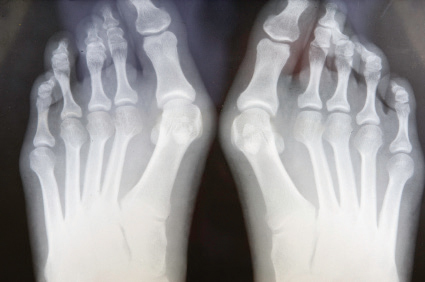 We say at FAIWest that the best way to treat Second Metatarsal Stress Syndrome is to not develop it. 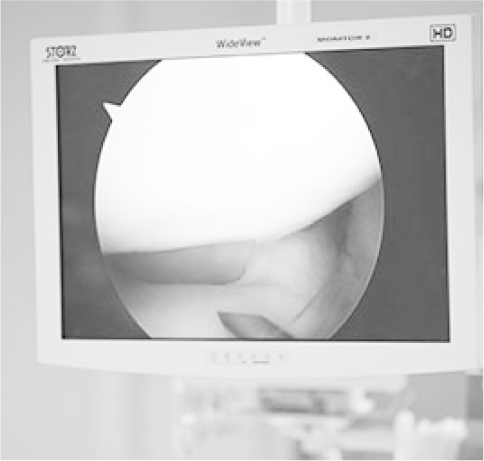 AFTER THE MINIMALLY INVASIVE SURGERY: The foot and correction are stable and walking can begin immediately with no cast, crutches, walkers or canes. Immediately after the surgery, a patient will be able to stand and walk in a special shoe no bigger than a tennis shoe. A course of physical therapy begins in our offices 3 or so days after surgery. The therapy is completely passive with no patient involvement needed. Physical therapy modalities such as ultrasound, electrical stimulation, and whirlpool are used to reduce inflammation and promote quicker healing.